The transactional emails sent through your Prestashop store are critically important emails, which should convey important information to your customer. Customizing those emails is a simple and effective way to differentiate yourself from the competition. It allows you to convey the information you are trying to communicate in an effective way and generate a higher level of customer engagement. 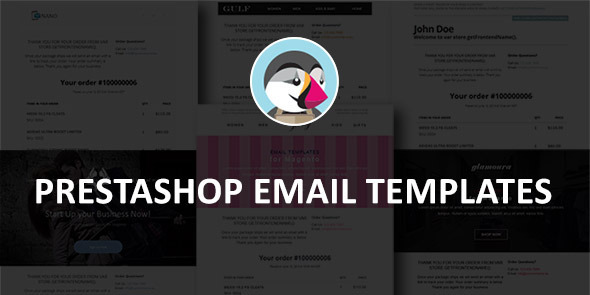 Make them look beautiful and just like the rest of your store using Prestashop Email Templates. What you get with Prestashop Email Templates? Responsive design for smartphones, tablets etc. Customize what you want (Images, Texts, Colors, Fonts etc.) for your unique store design. Important: Emal templates only works for Prestashop version 1.6.0.5 and above.